Only a stone’s throw away from the buzzing city that never sleeps, the Hamptons, Long Island, and the Jersey Shore have long served exhausted NYC residents looking to remove themselves from their busy lives and relax for a little while—a mini-vacation on the water not far from home. Yet each of these weekend hotspots has even more to offer than just sand and surf, including the trendy restaurants and bars, local art museums, and lush gardens of the Hamptons, photos of which are sure to spice up any social media profile. Beachy Weekend Getaways from New York City provides themed itineraries for weekend warriors of all interests, ranging from solo yoga retreats to beach trips with friends, a couple’s romantic getaway, and immersive arty or foodie adventures. With something for every weekend whim, Beachy Weekend Getaways from New York City is filled with advice for planning the perfect short escape. 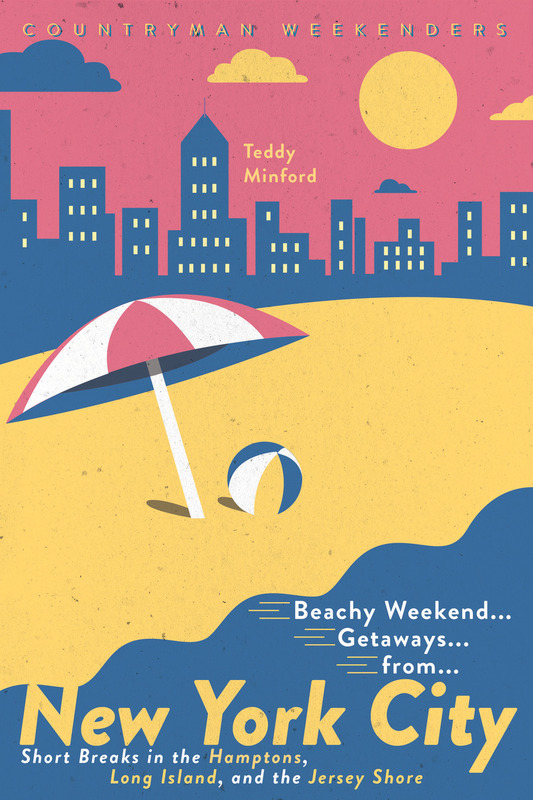 Teddy Minford is a digital editor at Fodor’s Travel, a guidebook company and website. She has edited travel guides to destinations all over the world, and writes and edits content for Fodors.com. Focusing on hotels, food, adventure, and art, her writing has taken her all over the world. She lives in New York City.